Gidday. I’ve just finished milking the cows and chewing over Harriet Gale’s piece on moving some of our Wairarapa rail stations. I like Harriet’s work. In fact I’m rather a fan of her commentaries on transport in the big smoke of Auckland. A breath of fresh air a lot of the time, I think. Such a different world, so far away! Give me the Wairarapa any time. Incidentally, Harriet, if you’ve not visited us you are missing a great lifestyle. We welcome townies (even Aucklanders!). Hope you don’t mind my calling you a townie – or implying you might have written your piece without ever visiting us. Hope I haven’t misjudged you. It’s just that things are so different here. Yes, we are ‘metro’ rail, because our rail service is part of Greater Wellington’s metro network, but to coin a phrase, “It’s metro, Harriet, but not as you know it”. For a start, we drive our cars. I know that’s unsustainable, but that’s part of life in these parts. We don’t have traffic congestion, and in fact we don’t even have traffic lights! This means it doesn’t matter all that much where stations are placed – so long as they have a decent car park. 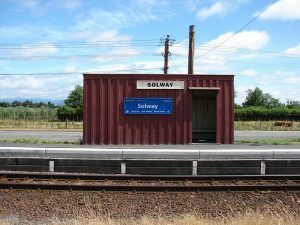 So, for instance, there’s no point moving Solway station (as you suggest). Maybe big city folks may not realise how quiet things are round here in terms of infrastructure. Big re-builds tend to be reserved for dire and basic needs. Like we want our roads to be properly maintained, our water to be on tap, our poos and wees to be disposed of safely, and our buildings to stand up after an earthquake. Beyond that, something like moving a station may be a ‘nice to have’ (and, in view of my last point about our penchant for driving, may not even be that). The reason is simple – there are a lot fewer of us (I mean a lot fewer) to pay for it! None of us want a big rates hike. In Masterton, it’s a direct and short walk along Perry Street straight into our Town Square. I don’t want to go all townie on readers here, but I would have thought this Town Square, and the teeming (for us) Queen Street shops just beyond, would provide an exciting opportunity for this route as a walking link. I gather it’s also on Masterton Council’s cycle route network. Talking of cycling, I hope big city folk reading this get on their bikes occasionally, and suss out our burgeoning network of cycle trails. Most of these are out-of-town, but a key one is alongside a river, just where Harriet suggests the branch line to what she calls the ‘heart of Masterton’. We don’t want to lose this valuable amenity! The suggested branch line station would be next to a busy state highway, difficult to access by foot, lacking land for the all-important car park, and actually further out of Masterton’s ‘heart’ than the existing station. 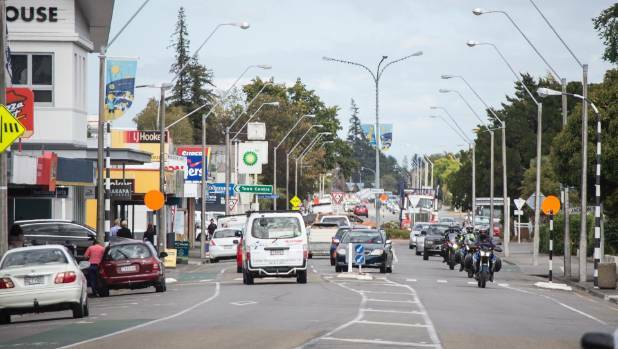 As for Lansdowne, it’s a short drive away, and as I said the Wairarapa is generally a traffic-congestion-free zone – especially at 6 or 7 in the morning, and between 6 and 8 in the evening, when the trains run. Matarawa station (out in the country, west of Carterton) doesn’t get nearly as many passengers as the town stations, but to say it “has no catchment whatsoever” begs the question how this “no . . . whatsoever” catchment managed to mount a campaign a few years ago and prevent its closure. Our rural lifestyle is so lovely out here that a lot of townies have bought what you don’t have in Auckland – lifestyle blocks. It’s a pain driving a good bit further to Carterton. Besides, the Carterton station car park, despite some extensions in recent years, is always chocca and people park all over the surrounding streets as well. In fact, talking of closing any station is a bad move round these parts, because the distances between places are so much greater than in a city. (I gather the idea of station closure is to speed the journey – good motive, to be sure, but big factor here is neglect of the track over (I think) a couple of decades. Don’t we know it! Go into Wellington, and you’re quite liable to be going slow some of the time. I don’t blame the Regional Council, they say in their 2018 Draft Long Term Plan that they’re ‘onto’ it and I believe them. Also, this being a ‘working train’ – I’m often asked to move my gumboots to make room for someone’s computer bag – those townies who commute seem more interested in the train arriving on time, than in the actual time spent travelling). Move Woodside station, and instead have more buses from Greytown to Featherston and Masterton? No way! Woodside, although out in the country, isn’t like Matarawa. Like a town station, it has a big car park, because it gets the town folk from nearby Greytown. The hassles of waiting for both a bus and a train, and changing from one to the other, could put a lot of people off, who will then have nowhere to park at Carterton (which I’ve already mentioned) or Featherston (which gets all the Martinborough folk as well), or – even worse – might think “bugger this, I’ll drive all the way to Wellington”. Now that really would be unsustainable. Maymorn station, in the outer rural Hutt Valley, doesn’t get many users, but just up the road is Upper Hutt which offers the massively more frequent Hutt Valley Line services. I reckon a lot of Maymorn folks just drive to Upper Hutt, so moving Maymorn station wouldn’t help either. But now I’m getting out of the Wairarapa, and besides I have a few bits of fencing to mend before the next milking time. Let me close by saying to any townies reading this – and as I said, we even welcome Aucklanders round here – come and visit, you’ll love it. Not just so you can write better commentary articles, but because it’s a nice place to come to anyway. In short, it’ll be music to our ears if you sing a bit more country sometimes. Greater Wellington’s Long Term Plan gave the public four big choices, of which one was “A long term solution for Wairarapa Rail Line and Capital Connection”. How do you think this stacks up against other transport as a use of public money? 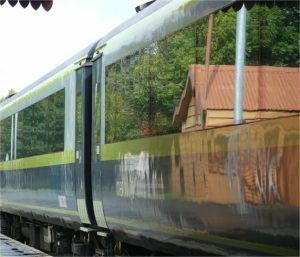 Do you have experience of the train service in Wellington region’s more rural areas – Ōtaki, Kāpiti, or the Wairarapa? About time people started writing about the Rapa. Out of towners will always get the facts wrong so We should write more of our own stuff.